I am sure that you know exactly what I am talking about. In your house it may not be mac and cheese, it may be chicken nuggets, or pancakes, or pizza, but as a parent I know that you understand exactly what I am saying. Before I became a parent I always swore I would never be "that mom". I didn't want to be the mom that made separate dinners, the mom that didn't make my child try new foods, the mom that gave in just to avoid the argument; and I wasn't at the beginning. When my daughter was able to try new foods I gave her everything to taste; different fruits, veggies, meats, sauces, anything that she was allowed to have I tried. She was a great eater and would try pretty much anything. And then one day she wasn't and since then we have had mac and cheese again, and again, and again. Don't get me wrong, we eat lots of other things, there are other foods that she really enjoys, some days I even get her to try new things! But other times after a long day of school, homework, housework, and everything else life throws at us I just don't feel like fighting, I just don't feel like arguing. So when my daughter requests mac and cheese I just make the mac and cheese. 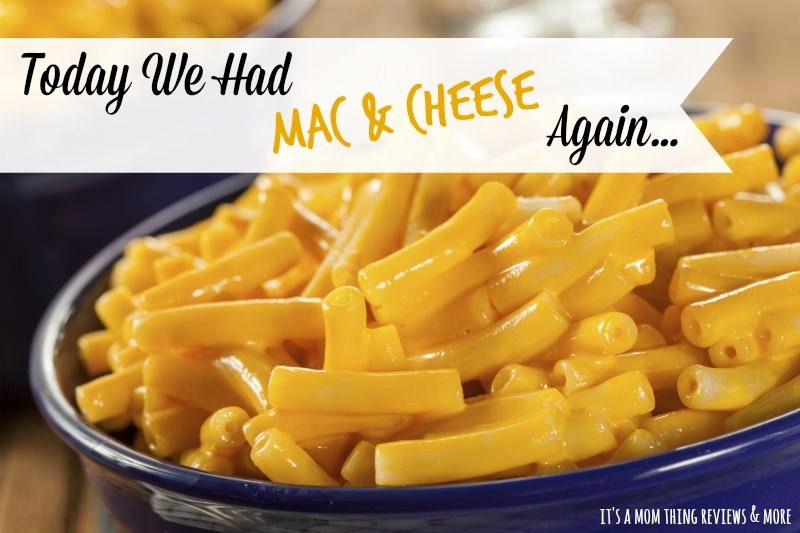 I always swore that I would't be "that mom" who made separate dinners and I'm not, we eat the mac and cheese too.